The National Scientific Advisory Group (NSAG) is an Education and Research Committee whose role is to recommend research initiatives, identify gaps in Red Nose Education and Grief and Loss policy and to ensure our education messages stem from evidence-based research. NSAG reviews and recommends research development, research initiatives and public and health professional educational campaigns, as well as providing advice to Red Nose on the projects that best fall within our research funding protocol. NSAG meets four times a year. For more information contact Red Nose on 1300 998 698. Professor Craig Pennell is Chair in Obstetrics and Gynaecology and the Professor of Maternal Fetal Medicine at the University of Newcastle. He works clinically as a subspecialist in Maternal Fetal Medicine at the John Hunter Hospital in Newcastle and is a principal researcher at the Hunter Medical Research Institute. Craig has managed high risk pregnancies as a subspecialist for over 15 years in Canada, Perth, and now Newcastle. His clinical work focuses on preterm birth prevention and pregnancy after stillbirth; he has managed more than 1500 women’s pregnancies after stillbirth. In 2012 he was awarded the Pride of Australia Award for Care and Compassion after he was nominated by his patients. Craig is an accomplished researcher with more than 200 publications, $20M of competitive national and international research grants and three patents. His current research is focused on prediction of preterm birth in early pregnancy, the impact of ethnicity and migration on stillbirth and the role of genetics in the relationship between early life events and adult disease. Adrienne is a Neonatal Staff Specialist in the RPA centre for newborn care and an NHMRC Early Career Research Fellow at the University of Sydney. She has a Masters of Public Health and a PhD on risk factors for stillbirth for which she received an NHMRC Public Health Scholarship. She is particularly interested in perinatal topics with a public health impact that have the potential to improve pregnancy and newborn outcomes. Adrienne is on several State and National Committees that are directly responsible for policy and practice in the provision of perinatal care. 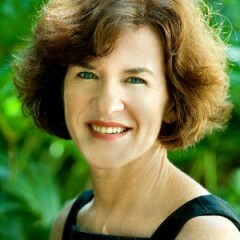 She is Deputy Chair of the National Scientific Advisory Group of Red Nose, a member of the IMPACT network for improving health through perinatal clinical trials, represents NSW on the National Perinatal Mortality Report project and has close links with perinatal consumer groups such as Miracle babies and the Stillbirth Foundation Australia. She is an avid supporter of evidence-based policy and practice and is passionate about translating research into clinical care. She led the Sydney Stillbirth Study which assessed modifiable risk factors for late pregnancy stillbirth across nine different hospitals. The results of this project have contributed to the recent establishment of a specialised bereavement support service (iSAIL – integrated support after infant loss) within Sydney Local Health District. Adrienne is also Project Lead for the Charles Perkins Centre’s BABY1000 Study. BABY1000 is a visionary project which will provide a major contribution to knowledge regarding early life predictors of health and disease and the interventions that will ultimately improve health for our future generations. Professor Jeanine Young is a registered nurse, midwife, and neonatal nurse with over 25 years of experience in neonatal, paediatric and child health care. Jeanine has a special interest in how infant care practices impact infant mortality, and in particular breastfeeding, parent-infant bed-sharing and shared sleeping practices, and infant settling strategies, including infant wrapping. 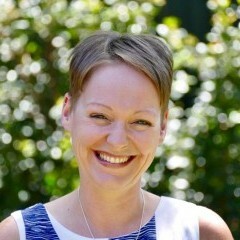 Jeanine is a member of the Australian College of Midwives Scientific Review and Advisory Committee, Queensland Paediatric Quality Council, Queensland Child Death Review Committee. Jeanine chaired the Red Nose National Scientific Advisory Group from 2008-2015. Jeanine’s research has a particular focus on developing evidence-based strategies and culturally appropriate educational resources to assist health professionals, including Indigenous Health Workers, in delivering Safe Sleeping messages to parents with young infants. Jeanine is currently leading the first Australian safe infant sleep space trial in Aboriginal and Torres Strait Islander communities using the Change for our Children Pepi-pod Program. Professor Roger Byard AO PSM (BMedSci, MB, BS, MMedSci-Paed, MD) holds the George Richard Marks Chair of Pathology at The University of Adelaide and is a Senior Specialist Forensic Pathologist at Forensic Science SA in Adelaide, Australia. He was awarded the Public Service Medal in 2004 for “outstanding service to paediatric pathology”, and became an Officer in the Order of Australia (AO) in 2013 for “distinguished service to medicine”. He qualified in medicine in Australia in 1978 (University of Tasmania) and became a licentiate of the Medical Council of Canada in 1982 (LMCC). He is a Fellow of the Royal College of Pathologists of the United Kingdom (FRCPath), a Fellow of the College of American Pathologists (FCAP), a Fellow of the National Association of Medical Examiners in the United States, a Fellow of the Royal College of Physicians and Surgeons of Canada (FRCPC), and has a certification in Family Medicine from the Canadian College of Family Physicians (CCFP). He is a Foundation Fellow of the Faculty of Forensic and Legal Medicine of the Royal College of Physicians (FFFLM) in the United Kingdom, a Foundation Fellow of the Faculty of Science of the Royal College of Pathologists of Australasia (FFSc), an Honorary Fellow of the Royal College of Pathologists of Australasia (FRCPA Hon), and an Honorary Member of the College of Forensic and Legal Medicine of Sri Lanka. He was registered as an Expert with the International Criminal Court (ICC) in The Hague in 2009. He has a specific interest in sudden infant and childhood death and has published, or has in press, over 750 papers in peer-reviewed journals, and 111 chapters. 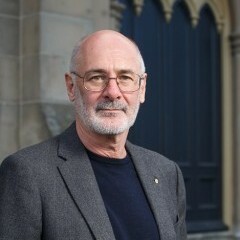 He coedited Sudden Infant Death Syndrome - Problems, Progress and Possibilities (Arnold, 2001), the two volume Forensic Pathology of Infancy and Childhood (Springer, 2014), SIDS and Sudden Infant Death: the Past, the Present and the Future, (University of Adelaide Press - 2018), and wrote Sudden Death in the Young (3rd ed, Cambridge University Press, 2010 - Japanese language edition 2015). Other general forensic texts include the four volume Encyclopedia of Forensic and Legal Medicine (2nd ed, Elsevier/Academic Press, 2016) and the Atlas of Forensic Pathology (Springer 2012 - Farsi language edition 2015). He has been the Editor-in-Chief/Managing Editor of Forensic Science Medicine and Pathology (Springer Publishers, New York) since 2008. He was awarded the Humanitarian Overseas Service Medal (HOSM), the RCPA medal and the Australian Federal Police (AFP) Operations Medal for disaster victim identification work in Bali after the bombings in 2002 and in Thailand after the tsunami in 2004. 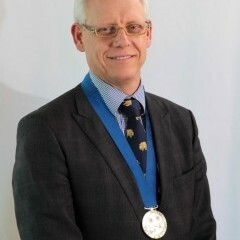 He received the John Emery Memorial Medal from the Paediatric Pathology Society in the United Kingdom in 2012. He is a Professorial Fellow at The Florey Institute of Neuroscience and Mental Health in Melbourne, Australia, and received Distinguished Alumni Awards from The University of Adelaide in 2013 and the University of Tasmania in 2016. In 2016 he was also the recipient of the Distinguished Researcher Award from the International Society for the Study and Prevention of Perinatal and Infant Death (ISPID) and was elected a fellow of the Australian Academy of Health and Medical Science. He was made a visiting professor at the University of Belgrade, Serbia in 2017 and a Distinguished Fellow of the Royal Australian College of Pathologists in 2018. Professor Byard’s publications can be accessed through Google Scholar and PubMed. Gates Foundation Clinical Trials Manager, Faculty of Engineering, University of Sydney. Heather has extensive experience in Maternal and Child Health/ Neonatology in low/middle income countries. Educational interests have focused on capacity building in perinatal care in Malaysia, Philippines, Indonesia, Thailand, Vietnam, Mongolia, The Balkans (Macedonia, Croatia, Serbia) working with governments, the World Bank, UNICEF, UNFPA, UNDP and the Hok Mai Medical Foundation, University of Sydney. Educational methods to translate best evidence into practice (SCORPIO*) This has been trialed in NSW and applied to capacity building in Macedonia, Vietnam and the SEA URCHIN project (*SCORPIO: a medium for teaching that is Structured, Clinical, Objective Referenced, Integrated and Organised). Sudden Unexpected Death in Infancy. Future directions for prevention and research. Since her PhD many years ago on SIDS she has maintained a research and community interest in the prevention of SIDS and Sudden Unexpected Death in Infants. 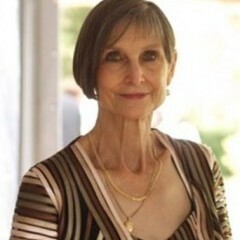 She currently is a member of the National Scientific Advisory Group of Red Nose, Australia; Child Death Review Team, Ombudsman’s Office NSW, the Sudden Infant Death Advisory Committee NSW Health. “Professor Heather Elizabeth Jeffery – For distinguished service to medicine and tertiary education in the field of paediatrics, and to improved maternal and child health in rural and remote Australia and in developing countries”. Dr Susan Arbuckle is a senior Staff Specialist at the Children’s Hospital at Westmead in Histopathology. She is on the NSW Maternal and Perinatal Committee and on the Perinatal Outcomes Working Party. 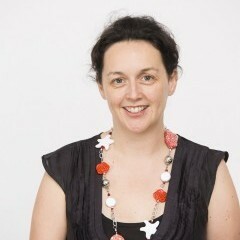 She also sits on the State Birth Defects Committee and has been involved with PSANZ and with the Stillbirth Project. In the past she has been involved with college committees and organising the paediatric and perinatal component of various meetings. She has been an author on a number of papers, the majority of which have been in paediatric and perinatal pathology. Her particular interest has been the aetiology of stillbirth and placentas. Susan has set up and organised a Perinatal Service, which is now used by Western Sydney, Central & South West Sydney, Gosford, most private hospitals in Sydney and many of the country hospitals. The quality and care offered by this service is much appreciated by those using it. Careful examination is made of every perinatal case to find, if possible, the aetiology and possible cause of the perinatal death. Education of clinicians and providing answers and appropriate care of the babies for the parents and clinicians is a focus of the service. Associate Professor Jane Freemantle holds a Master of Public Health from the University of Adelaide and a PhD (Paediatrics) from the University of Western Australia. Professor Freemantle’s main career focus is as a paediatric epidemiologist working with total population linked data describing Indigenous infants, children and young people and communities, nationally and internationally. She argues that unless we have complete and accurate data describing Indigenous populations, we will be unable to identify whether indeed we have successfully ‘closed the gap’ on Indigenous disadvantage. To this end, her particular focus is on ensuring that data that informs policies, strategies and initiatives aimed at reducing the disparities and improving outcomes of the social determinants of health and wellbeing experienced by Indigenous populations are complete and accurate. She has recently completed a program of research funded by the Australian Research Council the Lowitja Institute, Department of Prime Minister and Cabinet, the Aboriginal Health Branch of the Department of Health Victoria and the Ross Institute. The research has developed a more accurate and complete total population mortality profile of Victoria’s Aboriginal (and non-Aboriginal) children born between 1998-2008, using population data linkage and an innovative method and research process. This research has enabled for the first time a more accurate baseline from which to measure the success of state and national initiatives aimed at reducing the current disparities in mortality and maternal and infant outcomes experienced by Indigenous populations. Professor Freemantle holds a position as Principal Research Fellow (hon) within the Melbourne School of Population and Global Health at the University of Melbourne, position as Principal research fellow within the Department of Rural health (Shepparton) has been an Australian Research Council Australian Research Fellow. 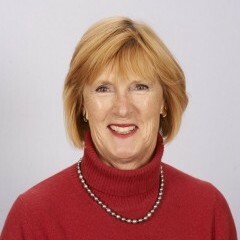 Jane also holds an Associate Professor position at the Department of Paediatrics and Child Health at the University Of Western Australia, an honorary Senior Research Fellow at the Victorian Institute of Forensic Medicine, Monash University, Victoria, and is an Honorary Research Fellow, Telethon Institute for Child Health Research, University of Western Australia. She is a Chief Investigator on an Australian Research Council Linkage Grant (Monash University) and an Associate investigator on an NHMRC Program Grant. Dr Pereira is a perinatal epidemiologist and biostatistician at Curtin University, Western Australia. 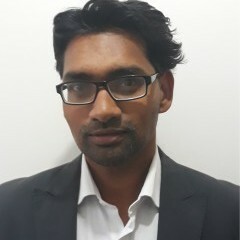 He has previously held a National Health and Medical Research Council Sidney Sax fellowship, a US National Institutes of Health funded postdoctoral fellowship and is currently an Associate Professor of Epidemiology and Biostatistics at the Curtin School of Public Health and Honorary Research Associate at the Telethon Kids Institute. He returned to Australia after a 3-year research position at the Center of Perinatal and Pediatric Epidemiology at Yale University and now leads multiple perinatal studies, including an NHMRC project grant funded international study to re-evaluate the World Health Organisation’s pregnancy interval guidelines and development of the most comprehensive risk assessment system for stillbirth using machine learning. Nicole is a bereaved mother to her daughter Isla who lived 6 days in NICU after suffering birthing complication at 38weeks in 2016. As a result she has focused on the bereavement support offered to maternity staff and parents experiencing child loss in hospitals. Nicole has developed ISLA Grief&Loss, a service offering maternity hospitals a donation of items to enhance memory forming, the introduction to a resource folder for maternity staff and an education session covering a wide range of bereavement topics. Her mission is to improve the confidence and capabilities of front-line maternity staff through perinatal bereavement education. In 2018, she voluntarily gave 24 presentations to about 500 maternity staff across 14 different maternity hospitals around Melbourne. She has also given separate talks at University, to O&G registrars and presented at several hospital run Perinatal Loss study days. Nicole’s background is a postgraduate trained physiotherapist and mother to her two living boys. She is currently completing her Cert IV in Bereavement Support and is also a trained Peer Supporter with Red Nose.